WHAT IS IT? A video shot and posted to your social media platforms and shared with your friends and family (see video & information below). We will share and post our favorites at MakeCancerDisappear.com. A fun way to Make Cancer Disappear in just 60 seconds by raising awareness through social media. 2. Make “CANCER” disappear in a visual way (See ideas below). 3. Tag & Challenge 3 people and/or organizations to raise more awareness by doing the challenge. Hello, I’m [NAME] and I would like to thank [name of person who challenged you] and Be The Match for challenging me to help MAKE CANCER DISAPPEAR! In addition to donating, I have also joined the Registry but first…. Heres how I’m going to MAKE CANCER DISAPPEAR… (HAVE PERSON DO SOMETHING CLEVER HERE TO MAKE IT DISAPPEAR…IDEAS BELOW). So…how will you MAKE CANCER DISAPPEAR? 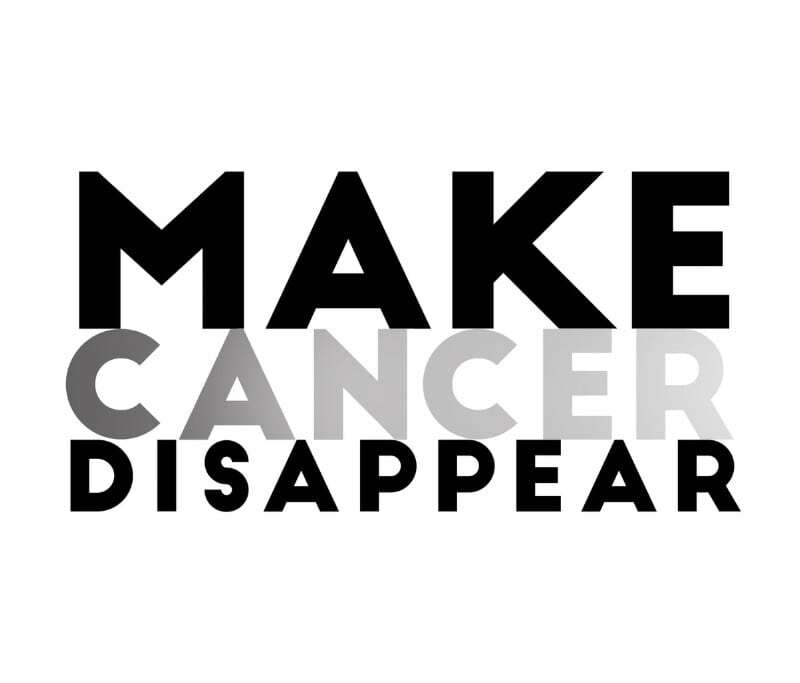 Go to MAKECANCERDISAPPEAR. COM, upload your video, join the Be The Match donor registry and make a financial gift to provide a life-saving cure for blood cancer patients today! I want to challenge ____________________, _____________________, and ______________________. Now it’s your turn to join the cause and help MAKE CANCER DISAPPEAR! – Write Cancer on a sheet of paper and crumple it up and throw it away. – A magic trick (if you know one). – Write cancer on an old tv or other old item and smash it with a sledge hammer. – Paint over a wall that says cancer until it’s gone. – Write it on a muddy truck and wash it. – Make up your own idea… but don’t let it stop you from doing this! You can post more than one video!